There are currently no Hilldale notable alumni listed. Be the first to add an HHS famous alumni. If you know someone who graduated from HHS in Muskogee, OK that has passed away, you can create a memorial for them. There are currently no memorials for Hilldale alumni. 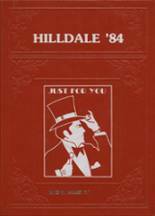 This site has been created for the former students of Hilldale located in Muskogee, Oklahoma. If you are an alumn of Hilldale you should register now in the alumni directory. We also encourage you to interact with the rest of the alumni on this site. You can find old friends, share photos and stay updated on the latest school news. 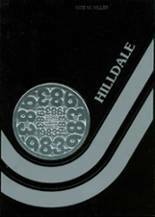 You can share memories of those activities that you were involved with at Hilldale HS and you can view other alumni and read what other former students have posted about the time they spent at Hilldale. Kassitee Poole has someone searching for them. Pamela Blunck has someone searching for them. Jonah Fabian has someone searching for them. 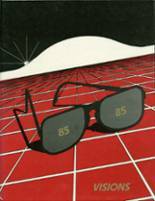 Robert Anderson has someone searching for them. Rose Strong York registered as a HHS Class of 2001 alumni. Rose Strong York added photos to their personal photo gallery. Rose Strong York updated her profile picture. Valerie Canaday registered as a HHS Class of 1999 alumni. Valerie Canaday added photos to their personal photo gallery. Valerie Canaday updated her profile picture. Tricia Tillman registered as a HHS Class of 1993 alumni. Tricia Tillman updated their profile picture. Tricia Tillman added photos to their personal photo gallery.